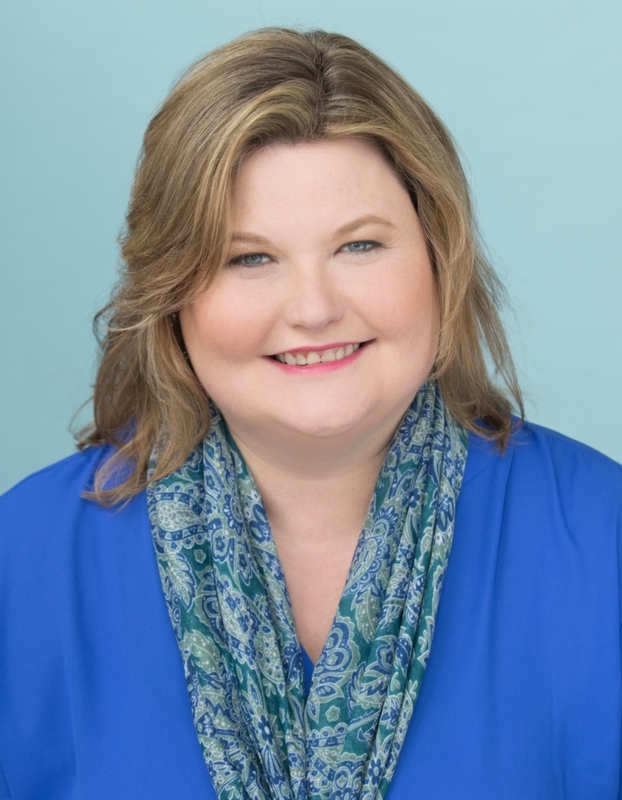 Kelli Roch attended high school in Manor, followed by college at Austin Community College and the Austin Institute of Real Estate, where she honed her craft. As an only child born from parents with large families, Kelli grew up surrounded by an expansive yet tight-knit group of aunts, uncles, and cousins, learning the value of teamwork at a young age. Always a “people person,” her nurturing, caring, and genuine personality make her a perfect fit for real estate. She considers herself a “type A” personality when it comes to her keen organizational skills, which helps ensure no details fall through the cracks. When Kelli isn’t on the job, she enjoys cracking open a good book, traveling, and spending time with her husband and son, Ryan. When it comes to buying and selling homes, The Kelly Team packs a serious one-two punch. Both born and raised in the Austin area, Kelli Roch and Kellie Foster have community roots that run deep. They’ve seen the Austin area through its many changes over the years—from its small-town roots (with considerably less traffic), through its flooding (and subsequent rebuilding), to its current status as one of the country’s most desirable areas to set roots. organizational skills, which helps ensure no details fall through the cracks. When Kelli isn’t on the job, she enjoys cracking open a good book, traveling, and spending time with her husband and son. Kellie Foster is a fourth generation Austinite, so you might say she has burnt orange blood coursing through her veins. She received her Associates degree in Business from ACC then attended Texas State, returning to finish her education at St. Edwards with a BA in Marketing. Thanks to her steadfast persistence and tenacity, Kellie lives up to the nickname “Race Horse.” She loves the challenge of helping clients make their real estate dreams come true. When Kellie isn’t working, you most likely will find her working out at Gold’s Gym, attending (and holding) estate sales, listening to live music with friends, and restoring antique furniture. She loves animals, especially dogs, and you will often see her walking her three “four-legged” children Lila, Candy, and Diva with her husband and daughter in the Blackhawk community. 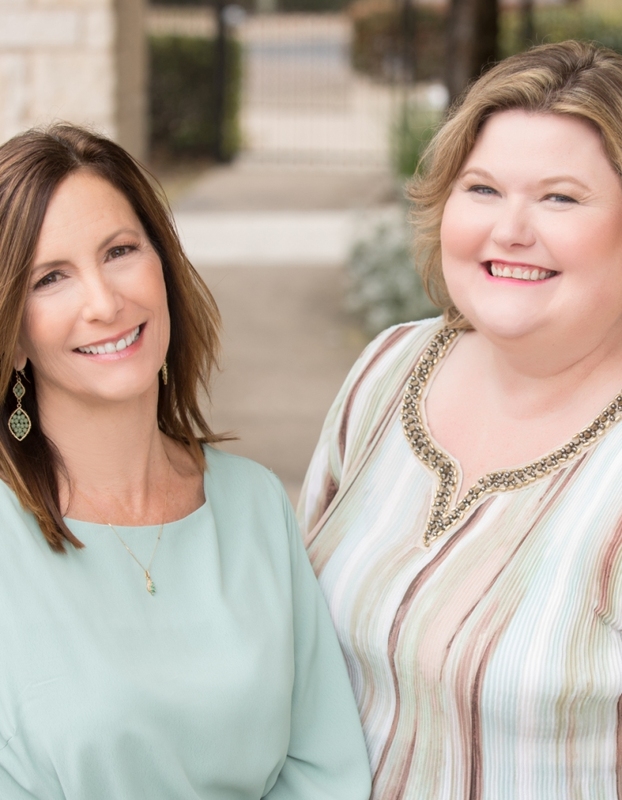 It may have been chance that brought Kellie and Kellie together, but it was certainly fate that has cemented them into the real estate dream team they are today. They share a deep-seated and unwavering passion for people, teamwork, and service, and are dedicated to serving their clients with only the highest integrity and passion. Their partnership is living proof that good things come in pairs (especially when it comes to real estate!). Meet the Kelly Team, and let their team effort MOVE you! Kelli Roch is awesome! I’ve known her for many years. There are so many great things to say about her: she’s honest, reliable, hardworking, knowledgeable, and friendly yet professional. So far, she’s helped us purchase two houses and sell our last one. Buying/selling a house can be stressful but she was always available to answer any questions I had and so patient with us when we couldn’t make a decision on a house. She went above and beyond to make it the best experience possible! I will continue to use her as my realtor in the future and recommend her to anyone looking for a realtor. The Kelly team is awesome! I can say a lot of great things about Kelli Roch as a friend and as a customer. She is great at what she does in real estate! She definitely has a passion for the client experience and wants her clients to buy a house that they can call home in the present and in the future! Have a question? She welcomes questions and if she doesn’t know the answer she will find out! She won’t leave you in the dark and quickly returns phone calls and messages. She is a hard working individual in a very stressful field of work. If you haven’t had the pleasure of speaking with Kelli about selling or buying a home, then, I highly recommend that you contact her at your earliest convenience! Kellie helped me buy my new Wilshire home… Nina and I were blessed with Kellie Foster’s integrity. She was open and candid with loads of enthusiasm. She and her team are people oriented. 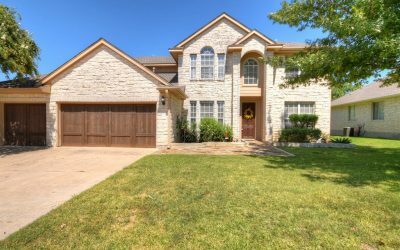 We highly recommend Ms. Kelli Foster in assisting in whatever manner is necessary to reach resolution and highly recommend her to anyone looking to buy or sell in the Austin, TX area. She is the ultimate professional. – Manuel and Nina V.
Kelli Roch represented me during the purchase of my home. She was super professional and understanding of my needs and specific desires for a new home. This was my first purchase and the stresses of such a commitment and constant property viewing didn’t deter her but only reinforced her resolve to locate and show me properties that were relevant. I would highly recommend her and will engage her for any future real estate adventures! Kelli has been a great person to work with. When searching for a realtor, she was referred to me by more than one source. She was very attentive to our needs and was extremely knowledgeable and helpful with our questions. 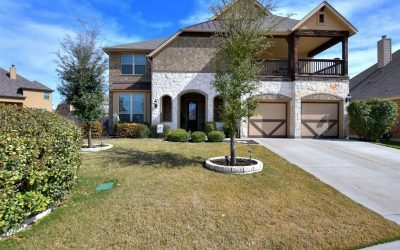 Kelli has a detailed understanding of the central Texas market and was able to locate the perfect set of home options for us. I look forward to working with you again Kelli! Kellie Foster has helped the Doggett family on many occasions, buy and sell property. Kellie Foster always goes above and beyond what other realtors would do. She is always willing to help, even way after the sale. She got our property sold in just a few weeks and helped Matt’s mom buy a house in the Austin area. Always happy to help provide comps for your current home and fight your tax appraisals. We would highly recommend her! 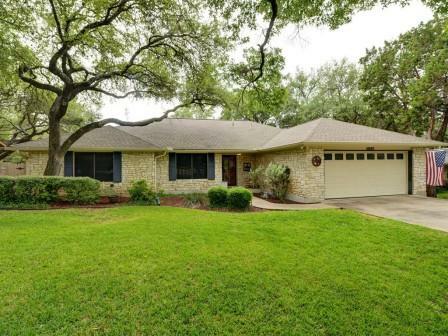 – Matt and Jennifer D.
Kellie Foster was recommended to me by one of my most trusted colleague to assist me with a very complicated sell of my home in Austin, remotely. I work out of state and after a divorce I was left with a very daunting situation of clearing out the house, preparing it for sale and actually selling the home. In any normal circumstances I would have had to make several trips to meet with several vendors and coordinate this series of tasks. Kellie without doubt went beyond the call of duty. Based on her extensive and trusted network of professional contacts helped me find the estate sales company that could take care of clearing out the house and cleaning it, she helped bring in reputable and professionals to take care of the major repairs and even helped find civil engineer when question was brought up on questionable foundation issues. She definitely went the full marathon and did all this and sold my home in record time. I highly recommend Kellie as a professional realtor that has integrity, someone you can fully trust to get the job done and she does this in the friendliest and helpful manner. I cannot speak highly enough about her and would recommend her to anyone. I only wish that she was licensed in the state I am currently living in. “I really can’t say enough. These ladies work hard and yet in everything they do it seems seamless. 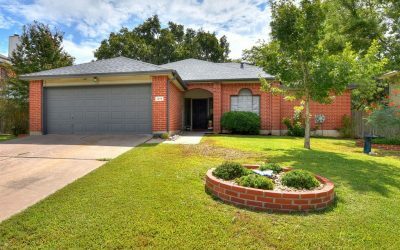 We had a difficult situation in that we had a home out of state to sell, a home we were leasing in Austin with the lease ending in just a couple of months and the need to find a home to purchase here. With the different legalities of the two different states and the need to move on everything quickly I thought I would pull my hair out. Kelli worked with our Realtor in the other state with our blessings, searched out rentals for us to stay for a short term in the event that we had not found a house here to buy, helped us locate that dream home we are now living in and even brought us boxes to move with. They worked for us 7 days a week with many late night calls to update us and calm our nerves. She broke down Real Estate terms and conditions so we could clearly understand. She truly makes you feel like family. I don’t feel like I was just working with a Real Estate Agent but a friend. We truly appreciate all they have done and I highly recommend The Kelly Team for that truly personal service. Kelli was absolutely amazing to work with! She was very dependable and responsive. We were 100% confident she had our best interests in mind. Without a doubt we would recommend Kelli and we wouldn’t hesitate to use her again if we were in the area! Kelli was amazing on working with us and the seller. She was extremely thorough and knowledgeable about everything we needed to know about the property that we were purchasing. Kelli was always professional and friendly. We will definitely use her again! Kelli made everything impressively easy! She has gone above and beyond since even the purchase of the home to extend her service. We were truly blessed by having someone who cared and wanted us to find the best fit possible. I highly recommend her! I had to settle an estate with a difficult property and a sell-by date to satisfy a reverse mortgage. Nothing was easy with this place, but Kelli stayed on it and we sold the property with a month to spare. Thanks! 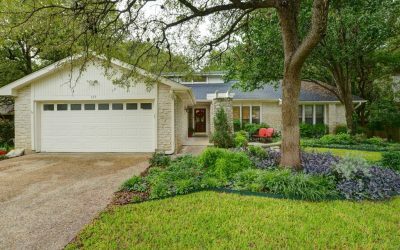 I bought and sold several home in the pass, but a never meet an Agent as knowledgeable and honest as her, she understand the Austin market. I was very happy with the price the property sold for. The closing was done via Fed Ex, it was very convenient . I highly recommend Kelli. Thank you Kelli you are the best. Kelli was great to work with. I never actually met her in person. I had relocated to New Mexico and was trying to sell my home back in Texas. It was a small house on acreage, not the easiest property to sell, but she got the job done pretty quickly. She kept me updated constantly with web traffic reports and e-mails. The ad was appealing, and we had lots of showings. I was happy with the price the property sold for. The closing process went smoothly. I didn’t have to worry about a thing. It was all done via Fed Ex, which made things very convenient. Kelli was the most professional agent I have every worked with, and I would highly recommend her. Kelli Roch is the best. Not only that she helped me through closing on a good property, but more importantly always protected me from buying the bad ones, even if that meant less business to her, and always detected the red flags and pointed them out to me before I did. She was very patient & compassionate and took me by the hand through my first experience to closing on a very small property – compared to the much more expensive ones that she normally handles – with the same patience, integrity and honesty as if she’s buying her own. Kelli, I can’t thank you enough … I owe you the same loyalty and you will always be my agent. 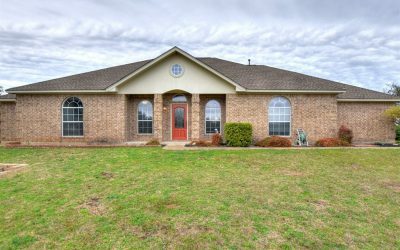 This home is perfectly situated near Hwy 183 & 290. Quality interior upgrades include custom high kitchen cabinets, wood floors, custom fireplace, built-in desk and shelving, recently updated bathroom, and extensive recessed lighting. Three bedrooms plus office, two baths, open living/dining/kitchen area, and indoor utility room. Unique landscaped lot with beautiful in ground pool, covered patio, and storage area just a few of the exterior upgrades. Easy access to Muller and close to downtown. Rare Property! Absolutely gorgeous shaded yard with creek side view, multi-layer deck, and dock. Extensive natural light with all living areas overlooking creek. Second living could be converted to 4th bedroom. Quiet cul-de-sac street, just a couple blocks from RR High. Many upgrades including- built-in book shelves, water softener, tile and laminate flooring, & much more. 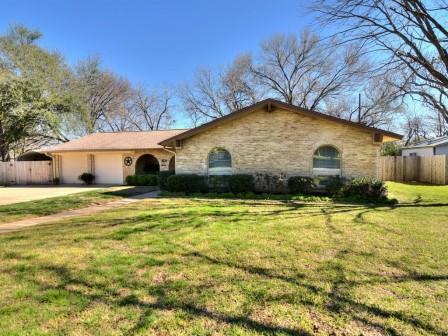 Desirable area is close to La Frontera with easy access to major roadways and schools. Don’t miss this opportunity! Excellent open living/dining/kitchen floorplan, four beds plus office, secondary master suite, oversized three car garage w/ exterior door to yard. 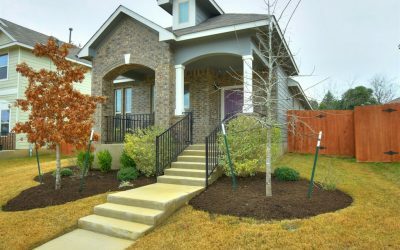 Extensive landscaping has large trees, beautiful ground cover, walkways, waterfall pond, & private back yard space. Personal touches such as concrete designs make this home unique. Beautiful community center w/ fitness area and numerous pools, play areas, walking trails in this neighborhood. Easy access to Tolls, HEB, and schools. Don’t miss seeing this home! Excellent floorplan with open living/breakfast/kitchen, soaring ceilings, large walk-in closets, and oversized upstairs gameroom. Light and bright! 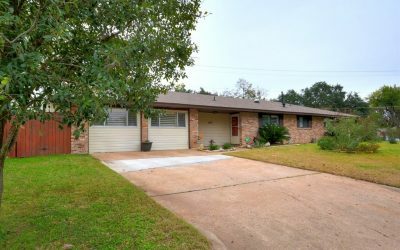 Large lot with trees & established yard with covered patio and extra patio space. 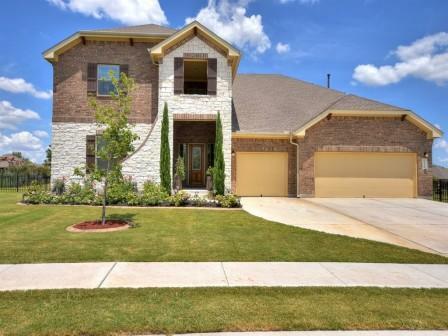 Granite counters, separate shower/tub in master, garage door opener, security system and more. Blackhawk amenities are available to this home including pool, walking trails, open areas. Just moments from elementary/ middle schools, shopping, movie theater, and more! 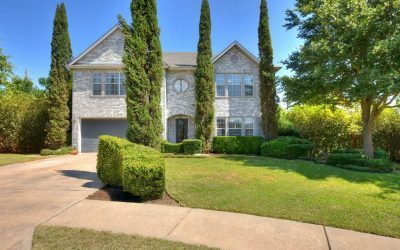 Excellent location just minutes to Austin. Stonewater subdivision is just off of Hwy 290. Just moments to Wal-Mart and restaurants. Property has no neighbors across the street. Open floorplan with excellent use of space. Laminate flooring in living area and carpet only in bedrooms. Fenced back yard with lots of space for a play area. Neighborhood has a playground and large pool. Call to see this home today! 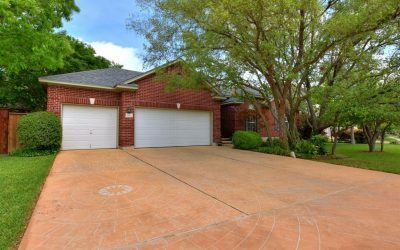 2000 Ryland Overton FP in Blackhawk-3 car garage & bonus rm. Great storage in closets, under stairs w large windows for tons of natural light. Located less than a block from amenity center/pool/park/playground walking/biking trails. 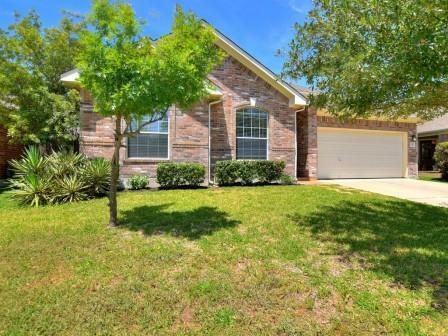 This house includes recent upgrades – new paint, carpet, granite counters, stainless steel appliances & backsplash. Move in ready! Close to area shopping, tolls & major employers. Covered deck is ready for outdoor BBQ’s. $500 bonus to buyers agent w accepted offer by 8/31/17. 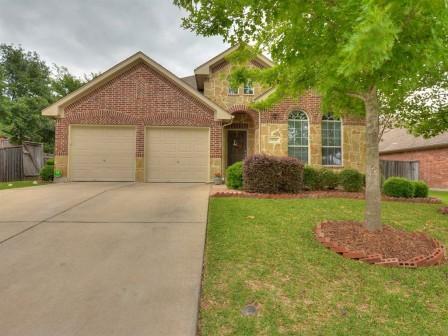 Awesome floorplan has open living/dining areas, large entry & a private master bed area. 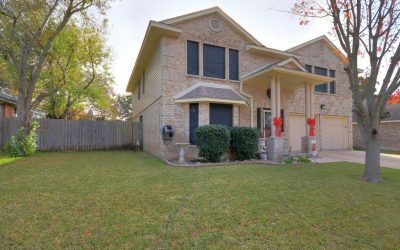 Granite countertops, wood laminate flooring/hard tile thru much of the home, huge master shower, and SS appliances are just a few of the upgrades. Exterior has water collection barrel & covered patio w/ large yard backing to Hutto Middle School. Just moments from Home Depot/Lowes, Walmart, and HEB Plus as well as Toll 130. Neighborhood pool/ playground area, Elementary, and Middle Schools all in walking distance. More Photos Coming Soon! Scott Felder built home right off walking/biking trails, easy access to amenities center/pool/park/playground. Extensive hard wood & tile! Open floor plan has an awesome kitchen, SS appliances, & granite counters. Master, guest bedroom w/ full bath and spacious office all on the main floor. Built in sound system. Amazing views of walking trails from upstairs game room. Backyard is ready for summer BBQ’s with spacious patio with a view of the pond with plenty of room to play. The Fairways of Blackhawk Golf Course Community! 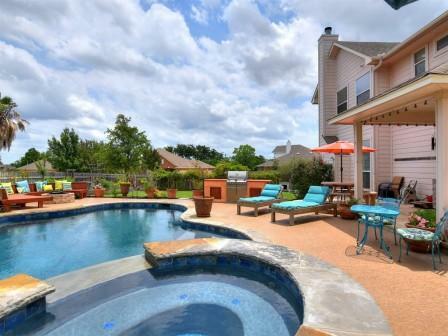 Upgrades Galore – SunPower Solar system, In-Ground Pool with Spa, extensive pool decking and seating, covered patio, natural gas connected BBQ, firepit, extensive landscaping/ planting beds, full sprinkler, updated appliances, bamboo flooring in master, energy saving upgrades, & more! Excellent Ryland built floorplan w/ four bedrooms plus office, and three large living areas. Sunroom area overlooks the beautiful pool. This paradise is waiting for you! 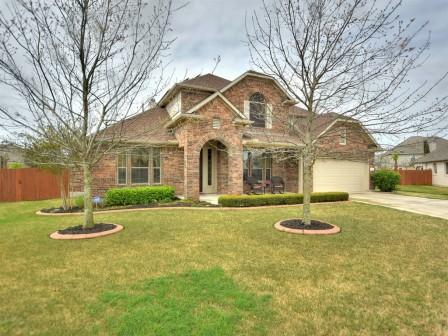 Desirable Windridge neighborhood. Well maintained 1 story with 4 lg. bedrooms, Randy Marine custom plan across from Oak View Park/PARD. 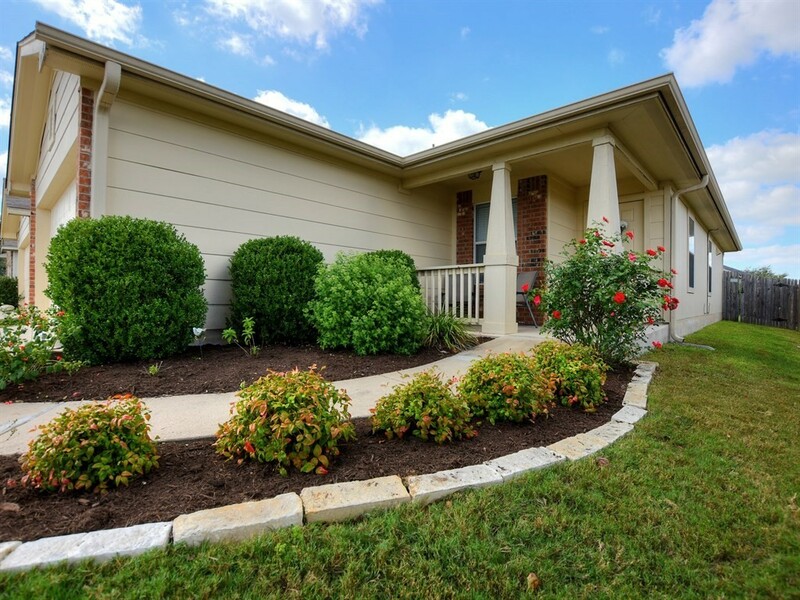 Enjoy the tranquil surroundings; large shade trees, wild flowers at park & minutes from highly acclaimed Caraway Elementary, Canyon Vista Middle & Westwood High. Spacious closets thru out, open family room with fireplace and (2) car garage with extra work space. Master has His & Her closets and access to backyard with patio. Recent stainless steel oven & microwave. Master planned Teravista Golf Course Community! Excellent Highland floorplan has 4 beds or 3 beds with office, large walk in closets, oversized owners suite! Warm décor, silestone counters, travertine backsplash, laminate/tile flooring (carpet only in bedrooms), french doors to office, open plan with tons of natural light. Extensive landscaping w/ mature trees and shrubs, playscape, covered patio with view of green belt/walking trail area. Awesome location to Outlet Mall, IKEA, HEBplus, and elem school. Exquisitely maintained home in Blackhawk Golf Course community. Not your cookie cutter Wilshire plan (only two built) with 3 or 4 beds and three car tandem garage! Back yard paradise has professional landscaping, screened in porch, large patio area w/ hot tub, full sprinkler system, storage, & playscape. Solar system with 21 panels, solar screens, SS appliances, custom cabinets, quartz countertops, central vacuum system, hardwood flooring, & remote control blinds. 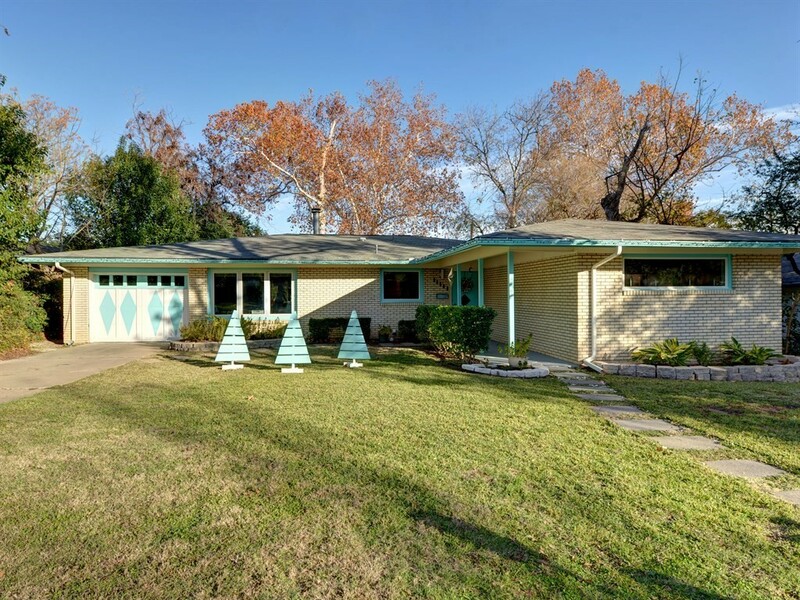 Beautiful Round Rock West Neighborhood! Tons up upgrades: HVAC 2015/ Fence 2015 /Recent Paint 2017 / Windows & Siding /Carport behind double fence (great for boat storage). Four Bedrooms, two full baths, two living, & two car garage. Excellent corner lot w/ large covered patio with mature trees, three car wide driveway, and storage shed. A few extras include a water softener, gutters, and sprinkler system. No HOA! All three public schools and park area close. 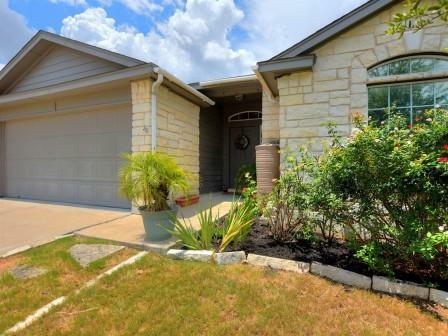 Easy Access to IH35, Mopac, and La Frontera. 1.5 story Lennar (Belton floor plan) shows like a model. This wonderful quality home has it all! 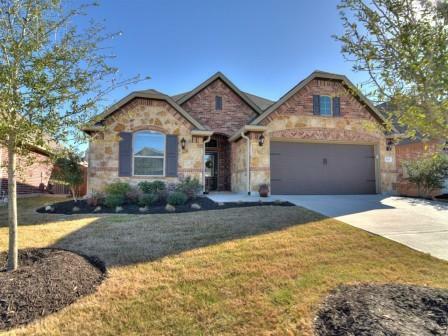 Stainless steel Energy Star GE appliances, granite countertops, built-in appliances, gas range, fireplace, crown molding, open plan, soaring ceilings provides tons of light, full sprinkler system, full gutters, and stained back patio. 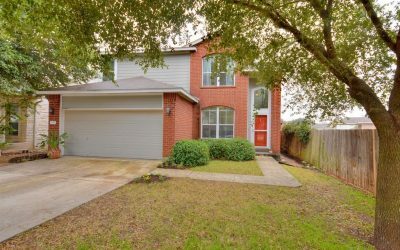 Walking distance to all three schools (Murchison, Kelly, Hendrickson). 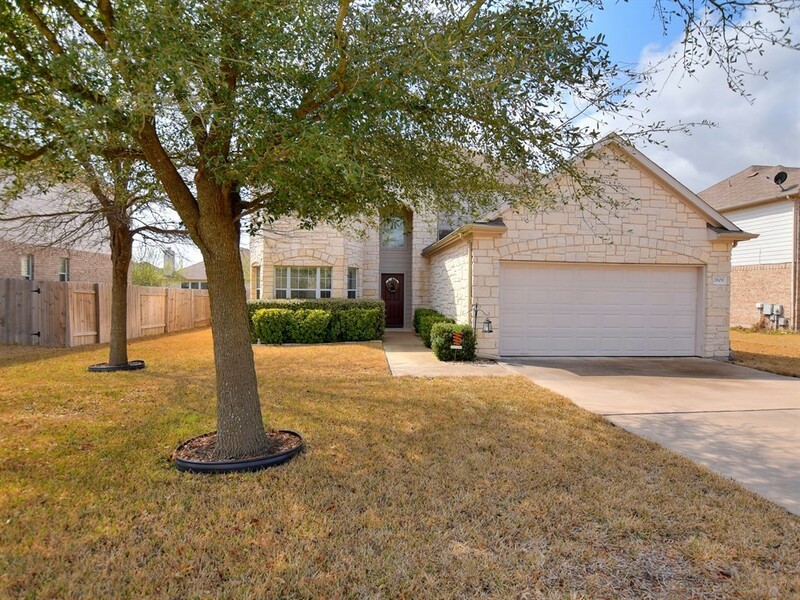 Close to tolls, airport, new Scott and White Hospital, Stonehill shopping and Pflugerville Lake. Must see.